"Spill the word on its side and see what comes out"
Yesterday, we had Lee Ann Brown, acclaimed poet and 4th grade parent, join our 3rd and 4th graders in a poetry lesson. 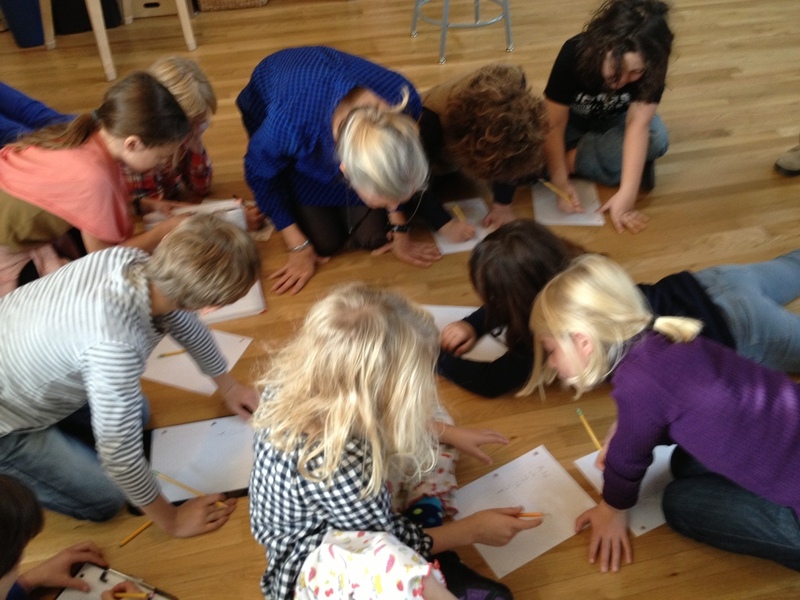 During the course of her lesson, she had our young poets writing busily. In introducing her lesson, she said: you need to "spill the word on its side, and see what comes out." In her acrostic poem, August spilled out her name and wrote: An Unusual Gust Under the South Trees. Child 1: " The winners write the history books. Say there's a big war and the side that eventually wins AND the side that lost did some bad stuff. The winners bend it so that they look like they did all the good stuff and the losers all the bad stuff." Child 2: "Isn't that called propaganda?" Child 3: "... I can't explain why it just is it gives you a different story, a different picture of what happened. Maybe because what actually happened is going to be different than what somebody thought. It's not just what you heard." Here's to all we are working to do to do a bit more spilling out of the world to study what comes out, and a little less telling children what they must find. Posted on November 30, 2012 by Allison Pell and filed under Uncategorized.